CBS New York contributor, Sarah Shaker, really loves her boot-camps. 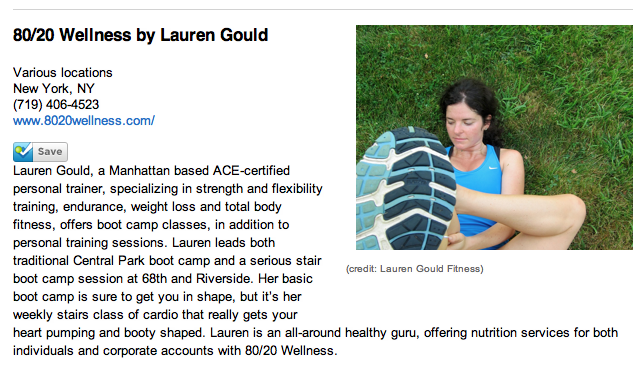 Check out her recent article which lists us as one of her favorite go to workouts! Join us every week for a variety of different strength, cardio, and flexibility sessions that are be sure to keep you in tip top shape. Check out the home page for schedule information. This entry was posted in Blog and tagged Boot Camps, CBS New York, Featured News, NYC by jtd-admin. Bookmark the permalink. ©2012 80/20 Wellness.com. All rights reserved.